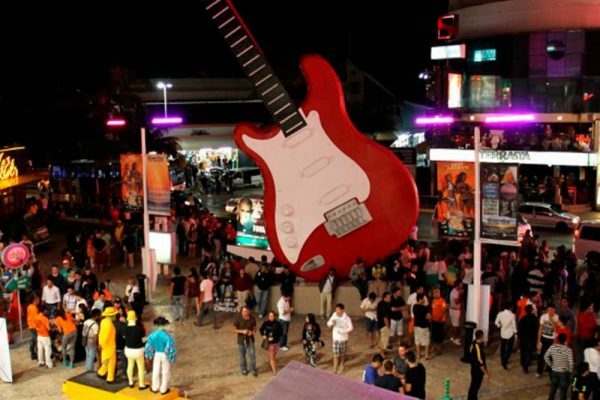 In addition to it's spectacular beaches that will take your breath away, Cancun is mostly known for one thing: it's incredible nightlife and best of all, the nightclubs where everyone conglomerates in the Party Center just a few blocks away from Sunset Royal Beach Resort. The crowds of people, good vibes, and music that booms through the streets is a good start for an unforgettable night. You have several options to find the best party and all of them are terribly tempting. The clubs you'll find here are well equipped with everything to please everyone from electronic music, pop, hip-hop and more. This nightclub is the perfect combination of dancing with enthusiastic entertainers, clapping and getting excited for show of professional dancers and singers who perform the top hits from your favorite artists. Lights, colorful balloons, and a high-energy environment take over the night. If you're not having fun here it's because you just don't want to. Who says you can't have a little fun in an sophisticated atmosphere? Come experience luxury in this nightclub as it transports you to a faraway Asian country. With 5 VIP rooms, a light show, music of all kinds to get you ready to party. Not to mention beautiful dancers who make even the shyest person stand from their seat. "Let's Dance!" says Cancun! A giant party where everyone is having fun, dancing and uninhibited. Remember what happens in Cancun, stays in Cancun! The City will enchant you with its spectacular lights, contagious music, good drinks, and an excellent time to "turn up" with friends. In the Sunset Royal Beach Resort and Ocean Spa Hotel, we know you like to have fun, so we are at your command for booking with our entertainers on hand. We'll take you to the nightclub that we have scheduled for that day and you wont have to wait in those long lines. We do not want to limit your fun, your return time is your choice.